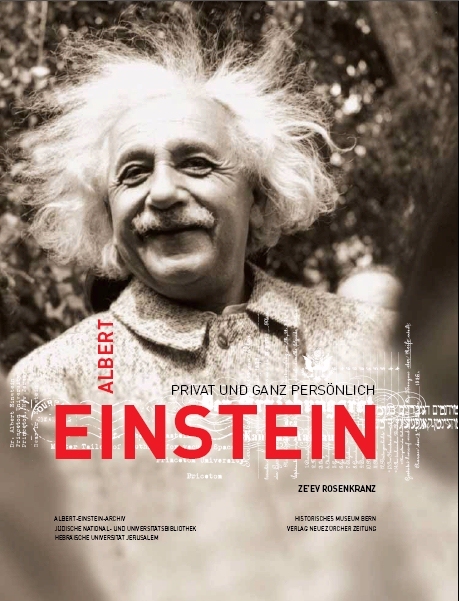 The Historisches Museum Bern had planned an Albert Einstein exhibition for 2005 and was interested in publishing an accompanying book. In 2003, with the assistance of Barbara Wolff, a researcher at the Albert Einstein Archives in Jerusalem, the museum produced a German language version based on the original Albert Through The Looking Glass but totally overhauled with a very appealing new design and adapted for the German speaking market. Many documents were added that reflected the special relationship Einstein had with Germany, his country of birth, and with Switzerland, his adopted country. After a year the book was about to run out of stock and a second edition, sporting many improvements was released, just in time for the opening of the Albert Einstein exhibition in Bern in June 2005.